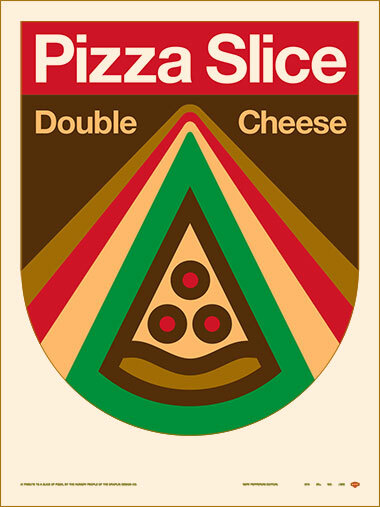 Pizza lovers unite! The poster is now available! 01. Printed on thick, durable uncoated creamy cover stock! 02. Five colors! Inspired by years delivering pizzas, pizza to-go boxes and a slice of hot, delicious, nutritious pizza. 04. Proudly printed by our pizza-chomping buddies at Seizure Palace! 06. Dedicated to a slice of pizza. And to pizza lovers. The world over. 08. Shhh! Very limited edition of 200. Man, I love a slice of pepperoni pizza. With double cheese. Let me have something to look forward to, will ya? Don’t take that away from me. I wear this hat when I’m eating some sad salad at lunch, dreaming for “cheat days” to come. Heaven? Heaven will be pepperoni pizza. Floating on slices of pepperoni pizza. With double cheese. Fingers crossed. 01. Ballistic embroidered patch. But hey, seeds are part of the deal. 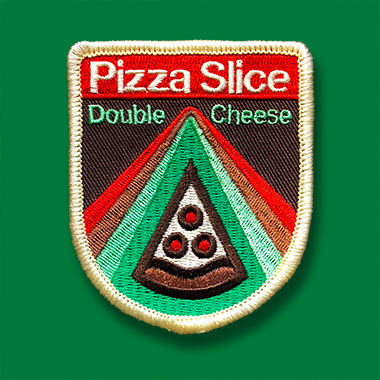 Here’s our “Pizza Slice” patch! Getting hungry just looking at the thing. 03. 2-1/2” wide by 3-1/8” tall. Just the right size. 04. Great for jean jacket, hat, backpack, fanny pack or pizza eating activity wearables. 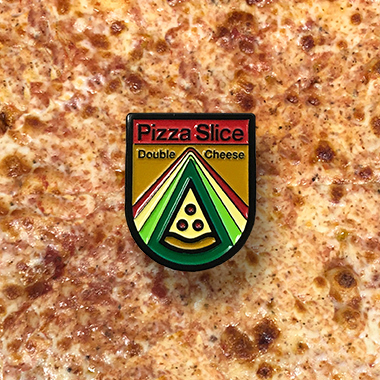 And finally, our “Pizza Slice” jean jacket pin! I mean, of course. Mandatory. Hangry! 03. Good for lapel, collar, jean jacket, ball cap, backpack. 04. .40” wide x .83” tall. Agreeable dimensions. 05. Proudly manufactured by the pinmasters over at Brewery Outfitters! 06. 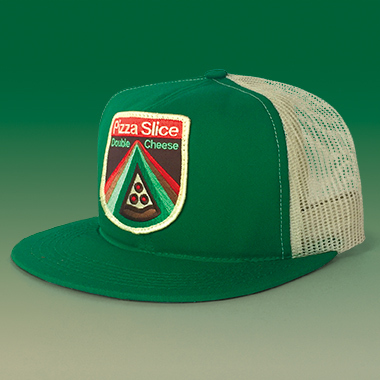 In stock forever, or until we croak of pepperoni grease-clogged veins.